Villanova Wildcats men's basketball head coach Jay Wright. Graduate transfer guard Joe Cremo and incoming freshman forward Saddiq Bey have completed their aid agreements and officially have been added to the Villanova roster, coach Jay Wright announced Friday. The 6-foot-4 Cremo, who will provide experience for a Wildcats team that lost four players from its 2017-18 national championship squad to the NBA draft, played for three seasons at Albany. He averaged 17.8 points, 4.1 rebounds and 3.7 assists in 2017-18, shooting 45.8 percent from three-point range. "His experience will be an asset to our young team this season," Wright said. "His maturity and character make him a perfect addition." The 6-7 Bey, a graduate of Sidwell Friends School in Washington — also the alma mater of all-American Josh Hart — averaged 21.2 points and 8.2 rebounds as a senior. He originally signed with North Carolina State but asked to be released from his letter of intent in May. He was granted a complete release, allowing him to sign with another college and not have to sit out a season. 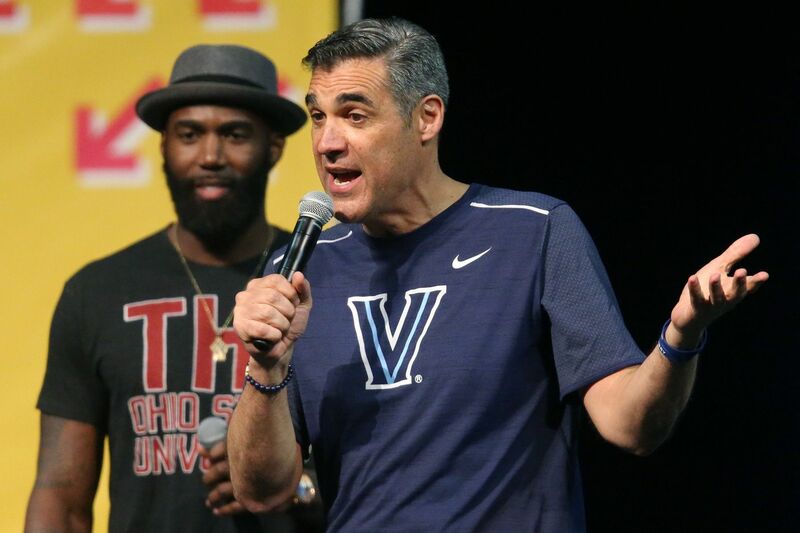 On June 15, he announced on Twitter that he had committed to Villanova, increasing the Wildcats' freshman class for the coming season to four members. "We were really excited to add a player of Saddiq's caliber so late in the recruiting calendar," Wright said. "Saddiq is a highly skilled, efficient and intelligent basketball player."